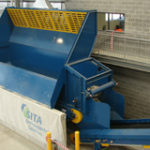 Brentwood manufactured and installed the recycling, solid waste and organics reclamation systems in the Award winning SAWT plant at Kemps Creek for SITA Environmental Solutions. 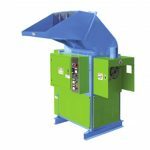 We are the only Australian manufacturer of Industrial Shredders and have established a name for high quality, excellent support and competitive pricing. 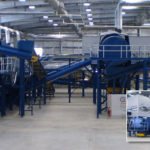 We manufacture other machines, including Trommels, Apron Feeders, belt conveyors, picking stations and Tyre Debeaders. We also act as agents for a number of international manufacturers. 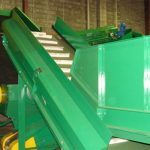 Brentwood Recycling Systems will work with you to create a fully tailored solution to help you achieve your business goals. We can do this because we’re engineers, not just sales people. We offer full support to all our customers, with a large inventory of parts, full servicing programes and engineering consultation on all aspects of your installation. 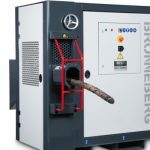 From full turn-key plants to individual one-off machines, Brentwood can supply standard equipment from our extensive range or we will engineer a complete solution to help you meet your business goals. 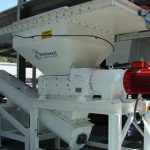 Brentwood is Australia’s leading manufacturer and supplier of recycling and waste processing machinery. 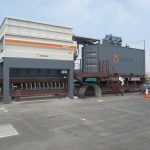 With 43 years of experience, Brentwood Recycling Systems has the expertise, experience and capacity you need to create effective, commercial solutions. 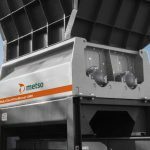 We are the only Australian manufacturer of Heavy Duty Industrial Shredders and coupled with our design and engineering experience, we can incorporate our range of Industrial Shredding equipment into your plant or develop a new solution using our wide range of core technologies. 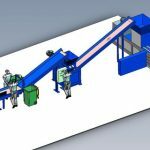 SHREDDERS – CONVEYORS – TROMMELS – FEEDERS – BALERS – CABLE RECYCLING – EPS RECYCLING – AND MORE…. Brentwood manufactures some of the best machines in Australia, and are sole distributors for some of the world’s leading manufacturers. This gives us an unrivalled capacity to create customised solutions designed to meet your specific requirements. 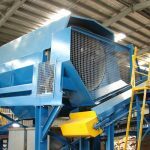 Heavy duty industrial shredders, conveyors, trommels, feeders, cable strippers, balers and more are all part of the extensive range of equipment available from Brentwood. Roll over the images below to view our range of high-quality equipment. 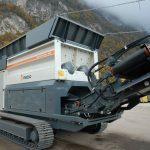 Industrial shredders for all waste materials. We manufacture them, so we can customise them to suit your exact requirements. Steel plate conveyors designed for some of the toughest industrial applications where belt conveyors are unsuitable. 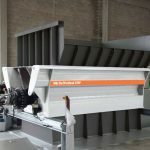 Roller and plate supported belt conveyors which have been specially developed for use with waste materials. 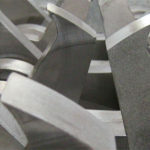 Developed with the CSIRO, our Pre-breakers and Gut-cutters offer high capacity, consistently sized output typically used in rendering plants. 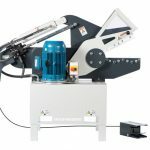 Bounce conveyors separate paper and plastic film from other materials such as plastic bottles, glass bottles and cans. 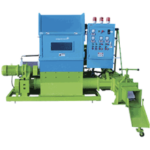 For fine shredding of plastics, wood, paper and foams typically for RDF production. EPS, EPE & EPP Thermal Densifiers that remelt foam forming blocks. Also a range of Cold Compression Densifiers available. Shred cardboard boxes and recycle them into high-quality packing material. High quality European made cable strippers and cutters. 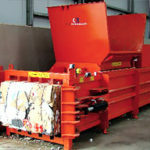 For bulky waste such as green-waste, timber and MSW. 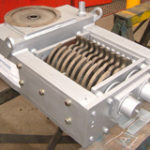 Optional secondary hammer-mill. 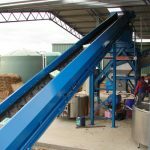 PLANTS FOR C&D/C&I – PACKAGED FOOD WASTE – LIQUIDS IN CONTAINERS – TUNNEL COMPOSTING – PAPER SHREDDING – HOUSEHOLD RECYCLABLES (MRF) – TYRE SHREDDING – CARD SHREDDING – AND MORE.. 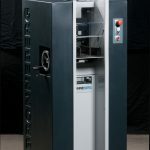 The machine for casinos to securely destruct playing cards and tokens (chips). 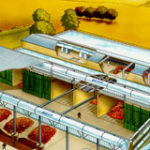 In-vessel Tunnel Composting systems for biowaste, biosolids, greenwaste and manures. Transportable picking station. 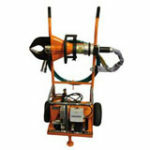 Ideal for short-term sorting projects including household recyclables and e-waste. JUST TAKE ME TO THE VIDEOS ! Go to our channel to see ALL the videos for ALL of the machines. New! – Avangard Innovative Thermal and Cold Compression EPS, EPP & EPE Densifiers. 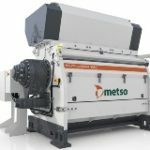 Click below to learn more about the key factors in shredder selection. 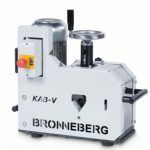 The latest video showing Bronnebergs KAB-X cable stripper has been added to the site. 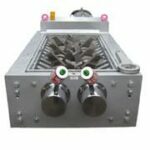 Buy and sell quality machines, right here. 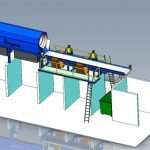 With full 3D design capability and 35 years of industry experience, Brentwood can construct a turn-key plant to meet your most demanding challenges. We stand behind everything we sell. 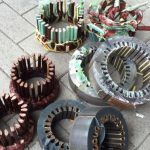 We have a complete range of Authorised Brentwood Parts and full service capacity.